Now is the time to start thinking about planning your summer garden. How will it grow? 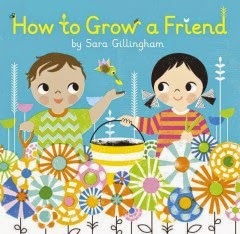 Take a look at some of these new picture books that can teach your youngsters about the growing cycle right outside their door. 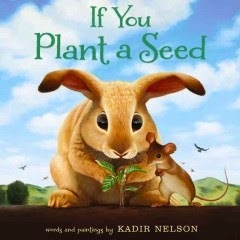 While planting seeds in their garden, two animals learn the value of kindness and how planting more than one seed can can produce so much more than just a single plant in this sweet story about sharing, kindness, and generosity. Above the ground, the world is full of green--leaves and sprouts, growing vegetables, ripening fruit. But down below in the dirt there is a busy world of earthworms digging, snakes hunting, skunks burrowing, and all the other animals that make a garden their home. 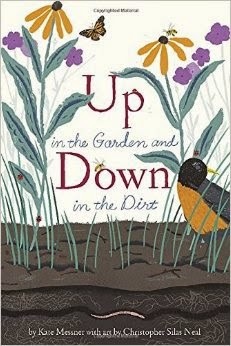 In this exuberant book, discover the wonder and activity that lie hidden between the stalks, under the shade of leaves and down in the dirt. What I love about this book is that it provides an excellent way to teach kids about the importantant role that animals play in creating and providing nutrients for the soil, which provides the food plants need to grow in a fun and loving way. 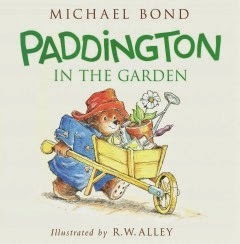 In typical Paddington stule, hapless mischief leads to blind luck, and his garden turns out to be a most unique site to behold. This makes a perfect read for any Paddington fan. This book has dual meanings. Making a new friend and nurturing that relationship is just like starting a seed in some soil and nurturing the plant as it grows. Watch a friendship grow as flowers in a pot grow. And if you need home gardening advice, please contact an Oregon State University Master Gardener at the Washington County Extension Office at 503-821-1150, Monday through Friday, 9:00 a.m. -- 12:00 p.m. and 1:00 p.m.--4:00 p.m. for sustinable home gardening practices based on scientific horticulture research. This year, 40 children at the Tigard Public Library submitted thier vote for their favorite 2015 Beverly Cleary Children's Choice Award book. The votes were then submitted towads the state-wide tally. 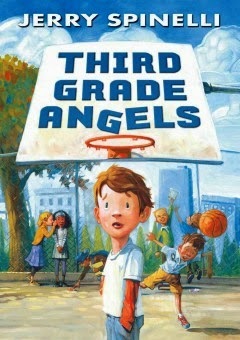 The winning title was Third Grade Angels by Jerry Spinelli. Congratulations Jerry! 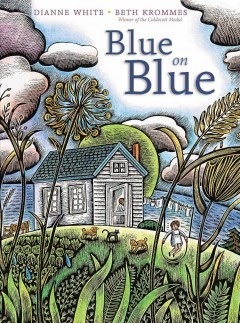 For a list of the 2015-16 Beverly Cleary Children's Choice Award Nominees, click here. Did you know there are artists that use LEGO bricks to make sculptures? Nathan Sawaya was the first ever LEGO brick only sculptor, but now there are several others. What will you make this Sunday, April 26? 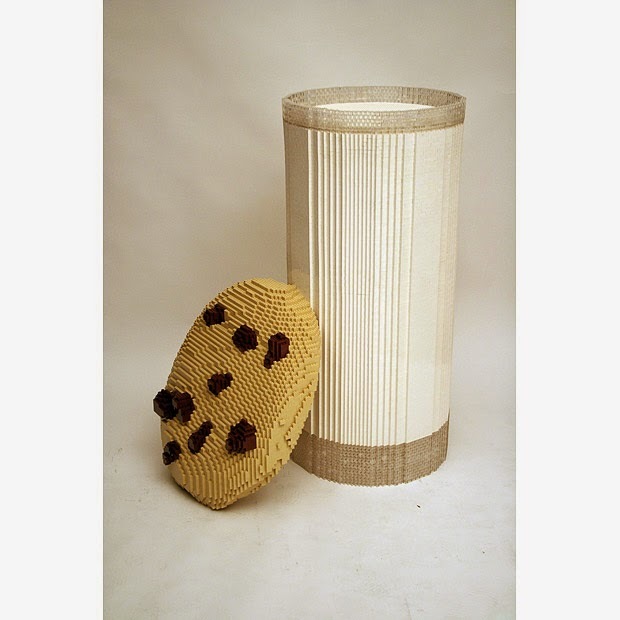 You can make your creations from 1:30-3:00 in the Puett Room. This program is best for ages five and up. Friday April 24th, 9:00 a.m. to 5:00 p.m.
Saturday April 25th, 9:00 a.m. to 5:00 p.m. BAG SALE DAY! Sunday, April 26th, 11 a.m. to 3 p.m.
And stop by the Circulation Desk inside the library for a fifty cent off coupon! Oregon Reader's Choice Award Winners Announced! The winners for the ORCA book award were announced on April 17, 2015. Is it a maze or is it a labyrinth? If you haven't been to the library in a while, you're in for a treat. The display cube is featuring mazes and labyrinths. Do you know the difference between a maze and a labyrinth? It's been said that you enter a maze to lose yourself; you enter a labyrinth to find yourself. 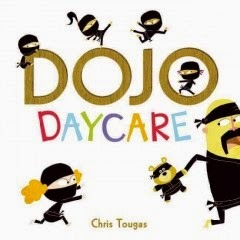 One morning, six young ninjas are dropped off at Dojo Daycare. As soon as their ninja moms and ninja dads have left: KABOOM! KAPOW! 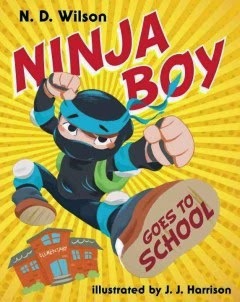 The ninja boys and girls kick, push, punch, and quickly turn the place upside down in a full-blown ninja riot. Try as he might, the hapless master can't control the children, and the disaster plays out through lunchtime and story time. No one heeds the master's repeated mantra of honor, kindness, and respect-- until one little ninja steps up and rallies his ninja pals to undo all that they have done, just in time for pickup. In this story about friendship, the daring ninja learns that the greatest thrills and the best adventures are the ones we share. Basic illustrations and simple, rhyming text reveal a young ninja who uses his special moves to sneak up on the family dog, take a cookie from his brother, and escape Granny's kisses, but before day is done he meets his match. In this twist on "The Three Little Pigs" tale, Pig One and Two neglect their ninja school martial arts training and are no match for the wolf, but Pig Three's practice and dedication saves the day. Includes glossary of Japanese martial arts terms. 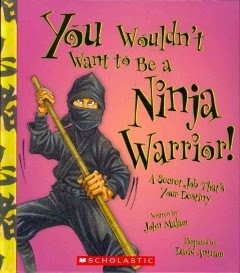 This non-fiction book examines the skills needed to become a ninja, including practicing with weapons everyday, listening and not asking questions, and keeping identity secret. Perfect for ages 8 and up. 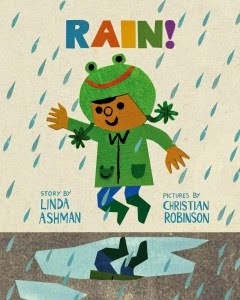 Since April Showers bring May flowers, it would only be appropriate to explore books that focus on umbrellas as one of its story characters. 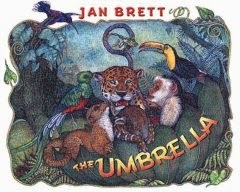 Have fun with your umbrella with these books, but don't get the pages wet!!! 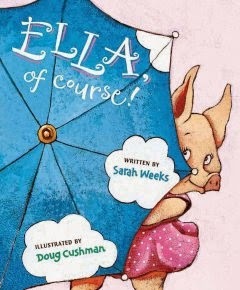 When Ella is banned from bringing her umbrella to the dance recital, she comes up with an ingenious solution to the problem. Just look how Ella peeks out from behind her umbrella! When Little Hedgehog goes for a walk one rainy day, his new umbrella proves its value in most unexpected ways. Carlos goes into the cloud forest to look for animals, but he manages to miss seeing them even though they have an adventure with his umbrella. 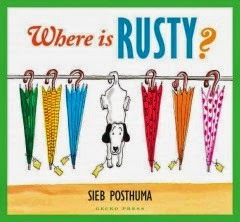 A sweet picture book about a curious young dog, Rusty, who gets lost in a big department store. When Rusty goes shopping with his mother, Henrietta, and Toby, his nose leads him astray and on a new adventure. Can you see him hiding among the umbrellas? 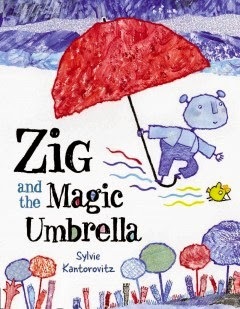 Zig, a small, blue creature who lives in a rainy, gray world, grabs hold of a red umbrella and is carried away to a colorful forest where he becomes a hero--and a friend. What can you make with a cardboard box? Just about anything you can imagine! Join us this Saturday for cardboard building fun, and learn a few 3D construction techniques along the way. We'll be making games and maps using relief techniques, standing cardboard animals using slots, rockets with cones and tubes, and towering it up with box upon box, complete with embellishment. Come to the Puett Room on Saturday, April 11, 1:30-2:30 p.m. All ages welcome. See you there! It's National Arbor Week in Oregon. Show your love of trees this week by planting a tree, honoring a tree, or appreciating the fresh air trees make for us. Enter the land where Wendy keeps house and the lost boys roam. Captain Hook is out to stop the boy who never wants to grow up, while Tinker Bell faces losing her best friend. 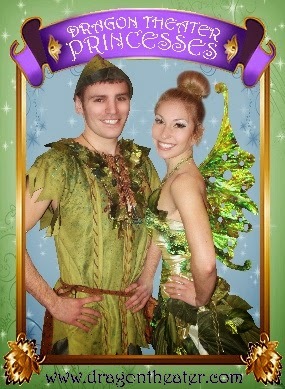 Only Peter and Tink's friendship can save their friends and each other. This live dramatic show will be presented by Dragon Theater Princesses on Tuesday April 7th at 6:30 p.m. in the Burgess Community Room. All ages are welcome to attend. 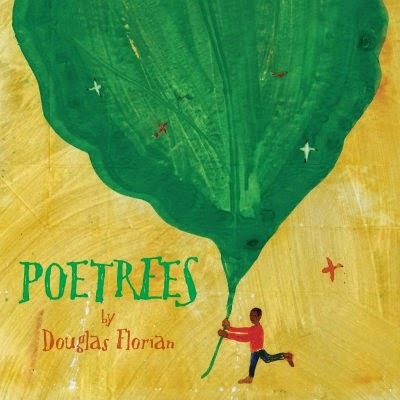 Let's celebrate Arbor Week and National Poetry Month by painting a tree in the style of Douglas Florian. Come to the Puett Room from 1:30-2:30 on Sunday, April 5. 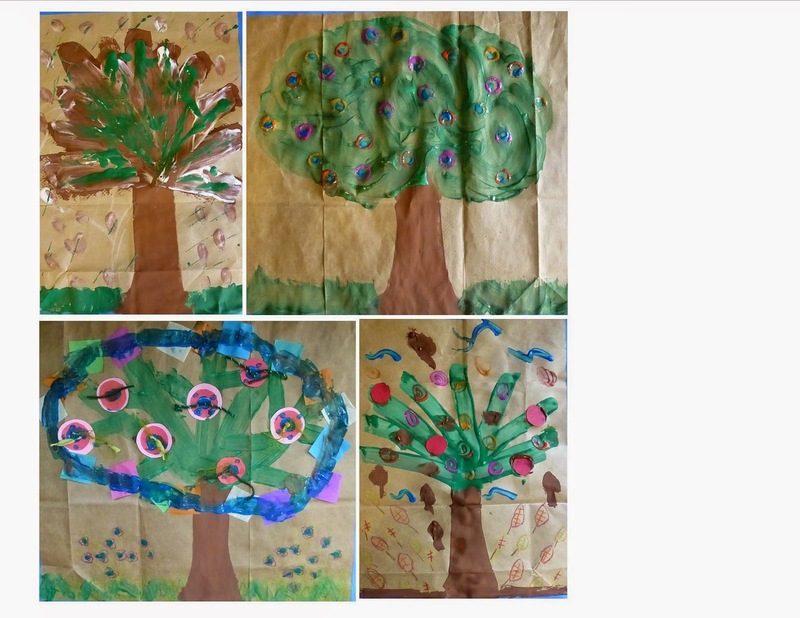 We'll use mixed-media on brown paper bags to create a one-of-a-kind tree. If you're feeling extra inspired, write a poem about your tree! Dress to get messy at this all ages event. 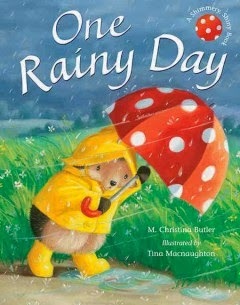 We've all heard the old English proverb growing up, "April Showers Bring May Flowers"...or at least I did growing up. 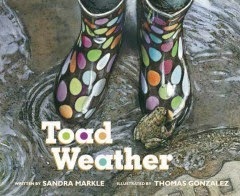 And while we're still in the rainy season, why not cheer up with some of these picture books with stories about rain that will result in some happy endings. and the facial expressions on the old man! Take a trip outside in the mud as a little girl steps out into her rainy yard in search of her missing kitten. During her hunt, she discovers a series of charming garden denizens on the way to finding Kitty. 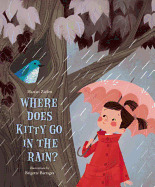 After celebrating the glories of a rainy day, the book ends with a heartwarming reunion between girl and cat!